Oh, I don't think I will give this quilt away! It was a lot of fun appliqueing the clothes, which I did using Aurifil monofilament (easy to use because it does not keep breaking!) and a very small zigzag stitch. I am still trying to decide which outfit I like the best. My stash of 1930s fabric is not too large, yet the combinations seem to have worked. 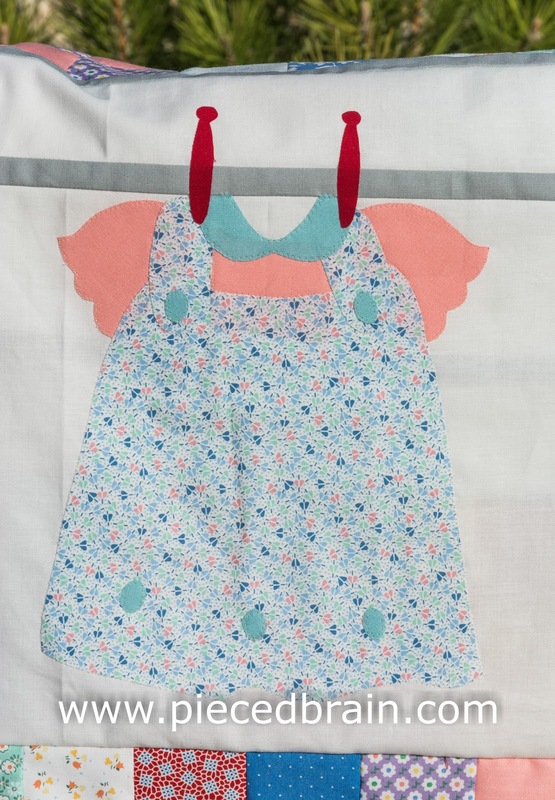 Oh, it looks like I still need to applique the clothespins, but that will not take long at all. 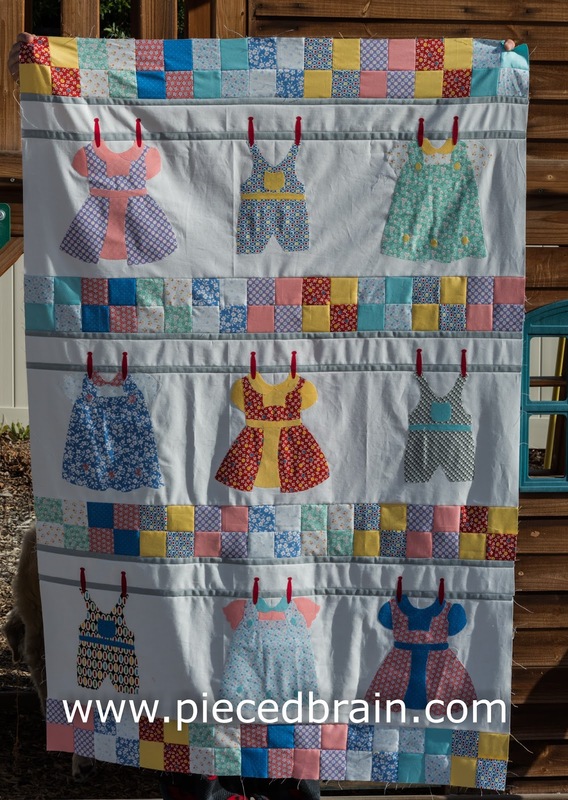 The pattern is called Wash Day by Coach House Designs. As usual, I modified it a little bit: I opted to use a white background, and only used the four-patch block as opposed to three different blocks as the patterns. I used HeatnBond Lite to fuse the shapes. I will not add a border; instead, will quilt and bind it. You quilt is so cute and unique! OMG!! Your quilt is too cute! I just love the outfits and the clothes pins!! Just adorable. I agree with them soooo cute! I love your fabric choice! This is adorable! What cute little outfits! Great choice of fabrics for them too. This is so cute! I love clotheslines. How sweet! I'd keep it for myself, too! Oh that is a cute pattern! Well done! I love the washing line theme. 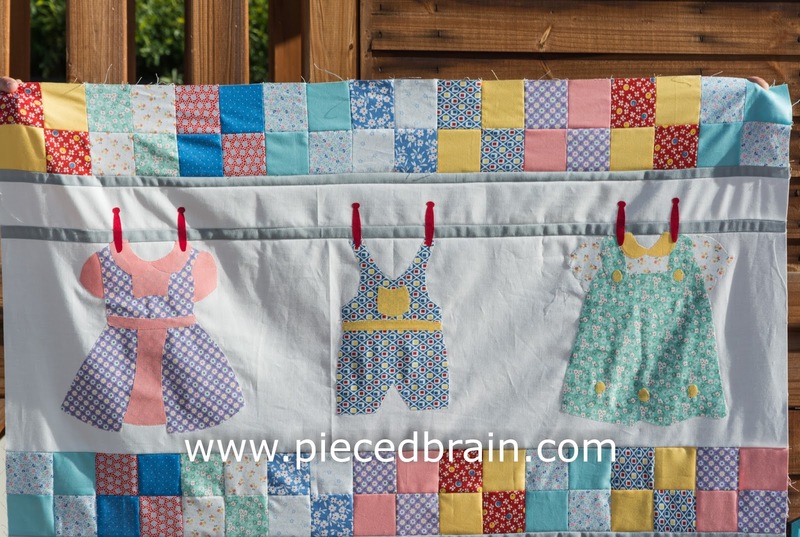 What a great idea for a quilt pattern. It has turned out beautifully with your choice of fabrics. Denise, that quilt is sew sweet! you did a wonderful job creating all the little outfits! 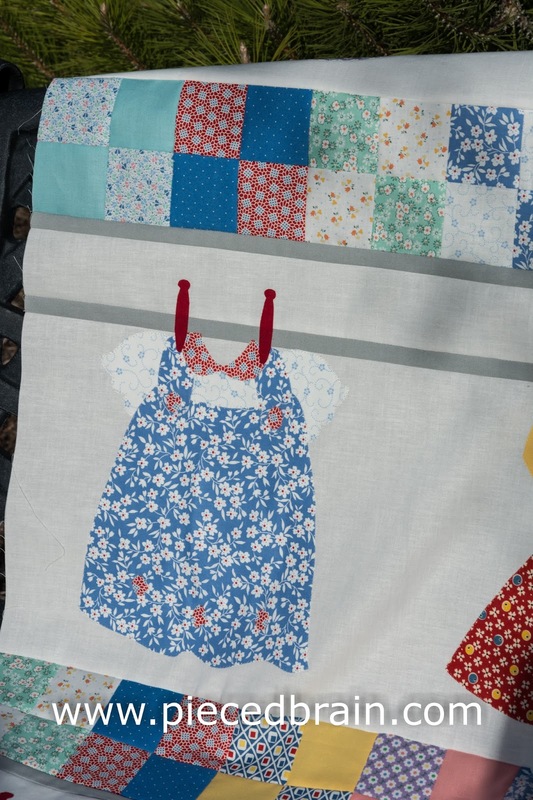 This is such a super adorable quilt! I love it just like it is without a border, too. 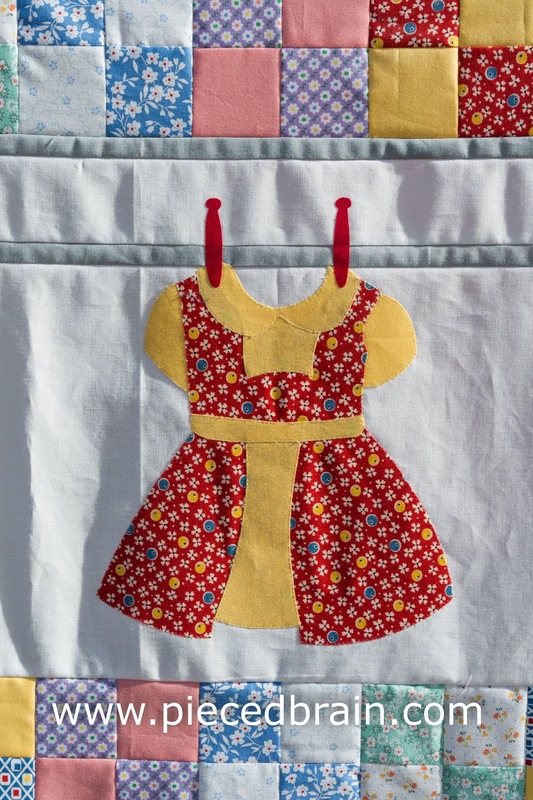 Such cute, cute clothes and the little red clothes pins are just perfect! Wow..... So cute and adorable. Love the colors and the clothes. All those red pins!!! Amazing. I will come back to see the finished quilt. 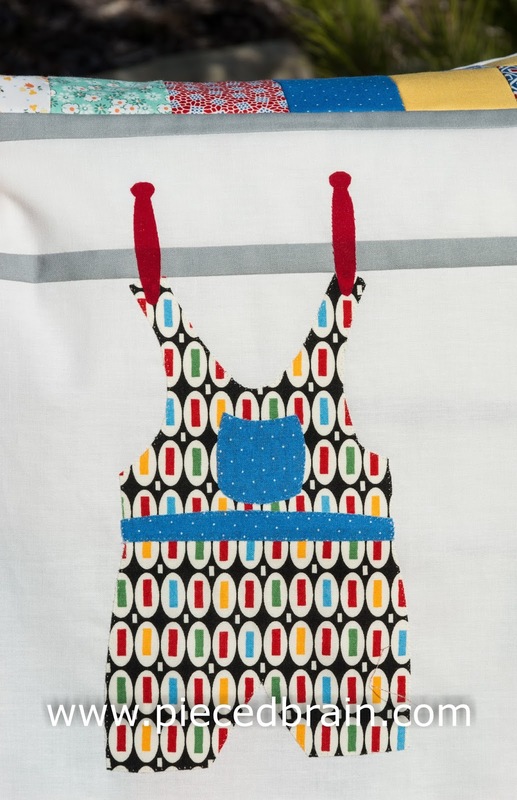 This is the cutest quilt of the year, for sure. Adorable. Very Cute! I see one done with my Girls dresses hanging on the line. Thanks for sharing.